These are Testimonial letter's we have received on FuelMaster units tested in the real world. Real World Results which will help you Decide if FuelMaster Units are for you and for all your vehicles, boats, motorcycles SUV's, & trucks in your life. "A dynamometer was used to test the output of hydrocarbons, carbon monoxide, and oxygen and examine the air/fuel ratio of the test vehicles. The tests were performed at idle and at wide open throttle under load...Both the vehicles tested showed definite emissions reductions and improved air/fuel mix ratios after the FuelMaster was installed indicating better fuel economy"
"|Frankly, I tried one of the magnetic Fuel Savers and guess what? I have been consistently saving about 11% of fuel for the last 7 months. Nothing changed and driving style remained. I guess there is no harm giving yourselves a chance to save fuel. Afterall, most of the companies selling Fuel Savers offer a 30-day money back guarantee. I figure you have nothing to lose. Also, I can definately feel the extra power once the device was fixed onto my car. It becomes so much smoother to drive especially in the morning." "The FuelMaster device was tested at our laboratory for Highway Fuel Economy, one test in baseline configuration, and one test in the modified configuration. The results of the tests are ... Hydrocarbons were reduced by 44%, Carbon Monoxide was reduced by 89%, NoX was cut by 6%, and Highway Fuel Economy was improved by 11-15%." 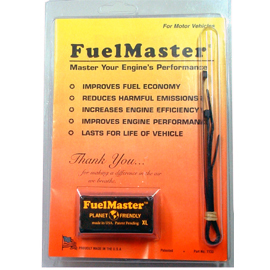 President, Dave's Automotive Center, Inc.
"Being involved in research and development of high-performance engines as well as racing engines for Porsche automobiles, I was interested to come across your FuelMaster product a few months ago. To tell the truth, I was very skeptical at first, but now believe you have a great product. 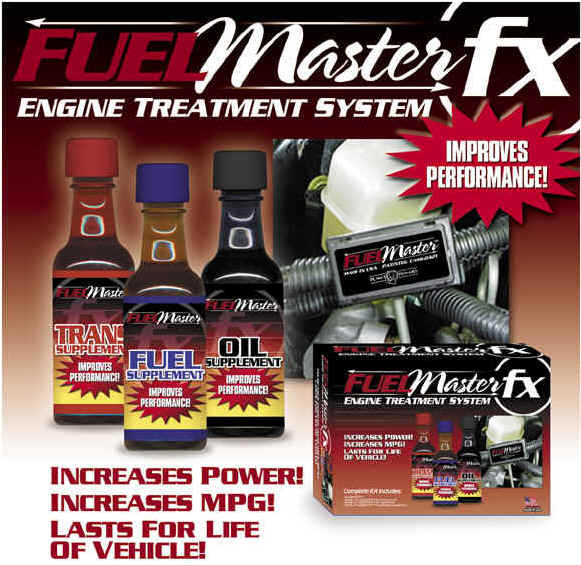 I have been using the Heavy Duty FuelMaster in some high-performance engines and in some racing engines, as well. So far, I have noticed an increase in performance and efficiency, and that to me translates into horsepower. I also have noticed that we have a cleaner burn and that allows running a better mixture. If this principal is applied to common, everyday cars, it should not only improve their performance and efficiency, but also likely help our environment." "After Performing the HFET fuel economy per 40 CFR 600.113-88 EPA Accepted Test.....We see a significant decrease in hydrocarbon, carbon monoxide and oxides of Nitrogen, and an +11.6% increase in fuel economy after installing the FuelMaster unit on the test vehicle"
- President EPA Accepted Testing Laboratory Liphardt & Associates, Inc.
"This is not an endorsement but a statement of fact of test results that I have been experiencing. The results have been truly amazing on our 1998 Ford Windstar vans; the base line was an average of 17.8 miles per gallon. After several months of testing with FuelMaster (private label), with over 40 fuel fill-ups, we are averaging 21.8 miles per gallon, a savings of over 23%. In addition to the obvious advantage of saving significant dollars on fuel, we are also experiencing other very favorable increased productivity, since the vehicles are able to travel farther between fuelings. Obviously this relates to less time at gas stations and more time for the driver to be performing his job serving our customers. I have to honestly say that this product seems to be the first legitimate fuel efficiency product that so far passed all of our rigorous testing. 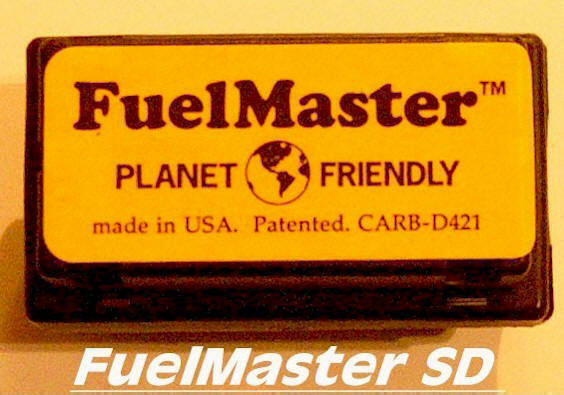 Therefore, because of the current factual results to date, I will be taking the FuelMaster Private Label product to the next level of testing in my fleet. This will provide a larger population of vehicles to test under all types of climates and driving conditions, thus being totally a statistically representative sample of my very large fleet. As a result, I am looking forward to the potential huge productivity initiative of fuel savings in our fleet." "After installing your FuelMaster (private label) on my Lincoln Town Cars and driving them for the better part of six months, I had to write to you and thank you. My Limo's are averaging around 12% fuel savings, exceeding your conservative estimates. This is even with oxygenated fuel, which we must use in the winter months. My drivers are spending less time at the fuel pumps and I'm saving hard-earned money. My cars run smoother, performance is improved and on my last NY State Emissions Inspection, my numbers showed considerable improvement." --Michael S. Deixler, President, Parkside Limousine Service, Inc.